As a facial fracture attorney in Los Angeles, I am well aware that trauma to the head and face can result in serious bodily harm. Facial fractures can happen in a variety of different types of accidents. Many people suffer fractures to their faces in motor vehicle accidents or by slipping or tripping and falling. 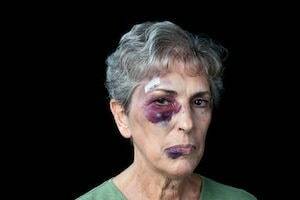 Facial fractures involve any broken bones in the face, including the orbital bones around the eyes, the jaw, the nose and the cheekbones. These injuries may be very severe, and when fractures to the face happen, people may also have suffered injuries to other parts of their bodies as well. People who have suffered a facial bone fracture may experience tenderness at the injury site. They may also have swelling and bruising. When a person’s nose is fractured, he or she may also have a deformity to the shape of their nose as well as a nosebleed. Serious fractures of the middle part of the nasal bone may also fracture the bones on the inside of the nose. When this happens, the person’s brain may be exposed to the outside environment. People who have this occur may have ongoing nosebleeds or a nasal discharge that is clear. The symptoms of a fractured jaw may include pain, swelling, bruising to the underside of the tongue and problems with being able to bring the teeth together. When a person has a fracture located in the middle part of the face, they may also have trouble with bringing their teeth together, have clear nasal discharges, visual difficulties, bruising and the ability to move the bones in the area. Cheek fractures may show such symptoms as a flattened or depressed area in the cheek, difficulties with vision, problems with moving the jaw, a change in the feeling in the affected cheek and the presence of blood in the side of the eye. People who have orbital fractures may have eyes that appear sunken. They may also complain of having double vision and have a changed sensation around the affected eye. When the temporomandibular joint is dislocated, the person may not be able to close their mouth and may have a jaw that is out of line. The joint is located in front of the ear where the temporal bone and the jaw are connected. Any time a facial fracture is suspected, people should seek immediate medical attention, especially if they also have losses of consciousness, clear nasal discharges, visual disturbances and other serious symptoms. The treatment that will be needed will depend upon the type of fracture and the extent of the injury. For nose fractures, doctors will first try to stave off any bleeding. They will wait to put the nose back into its place until any swelling has subsided. If the bones inside of the nose are fractured, the person will need to be admitted to the hospital. Fractured jaws in which a portion of the bone protrudes out through the skin will need hospitalization as well as intravenously administered antibiotics. For both closed and open fractures, oral surgery may also be required. Fractures to the midface region will likely require hospitalization as well as intubation to help people breathe. Cheekbone fractures, along with other facial fractures, may need cosmetic surgery in order to correct any disfigurement that results from them. Eye socket fractures may need surgery to repair the fractured socket. Nasal fractures generally require follow-up appointments about a week after they happen. If people need their noses put back together, their doctors may do that at the follow-up visit. A jaw fracture will normally have a good prognosis. Midface fractures may be more serious, and in some cases, people who suffer from them will become blind. Cheekbone fractures may result in facial disfigurement. People who suffer facial fractures in motor vehicle accidents or by slips and falls on the premises of another may want to seek consultations with a facial fracture attorney. An attorney may be able to analyze the facts in order to determine whether the injuries resulted from the negligence of a driver or of a property owner. They may then fight to secure the maximum amount of monetary compensation necessary to make their clients whole again.